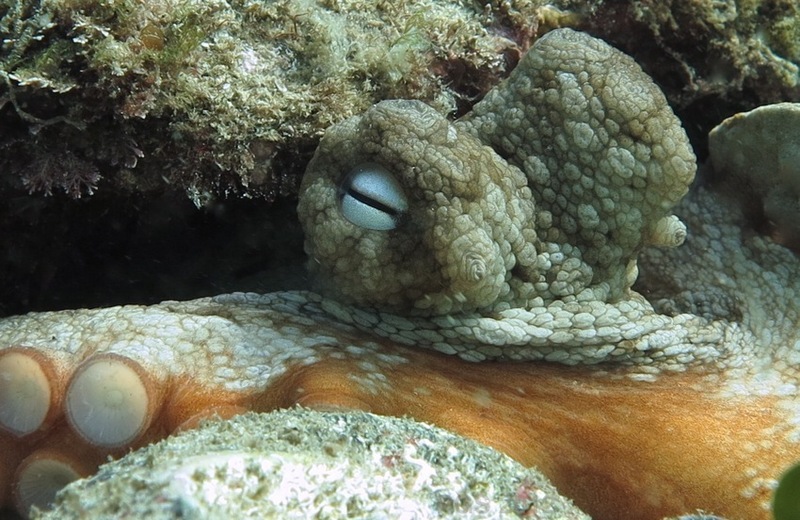 An octopus has a “camera eye,” as we do, with a lens that focuses an image on a retina. Our nearest common ancestor with octopuses was probably a tiny worm-like animal living half a billion years ago. 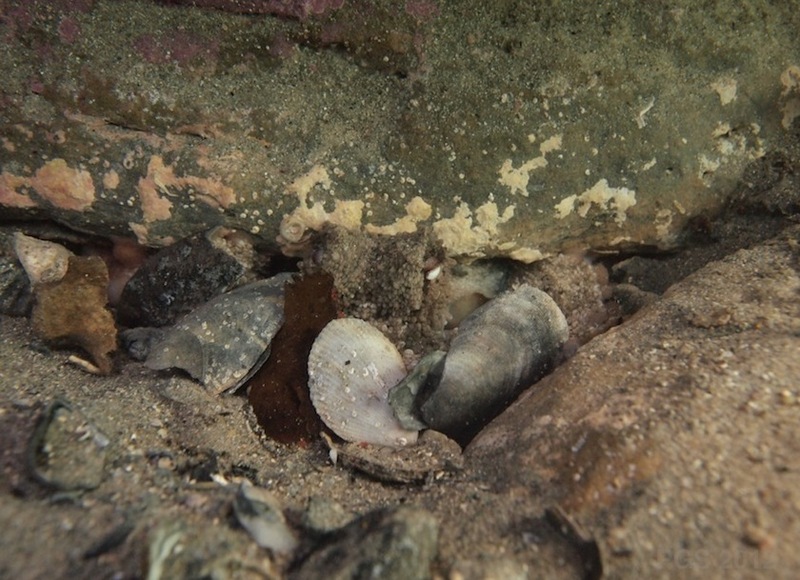 It may well have had eyespots of some kind, but almost certainly not a camera eye. Camera eyes evolved independently in cephalopods, vertebrates, and several other animals – most surprisingly, in a box jellyfish. 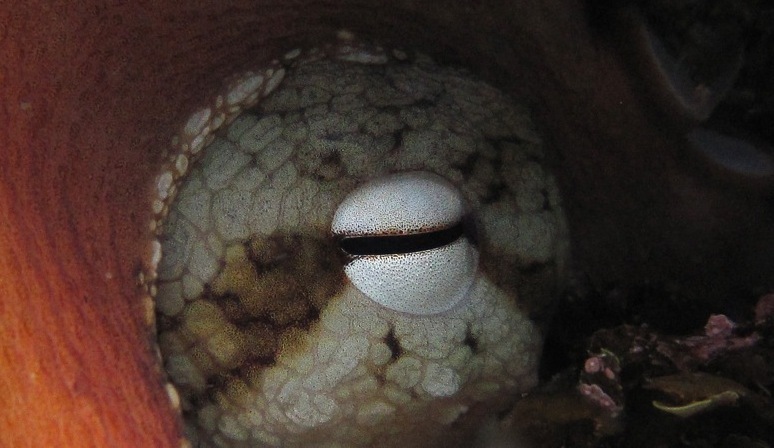 Some time on this site I’ll look at the workings of the cephalopod eye. Today though, no science or philosophy, no peering inside their heads. Just some images, views of those eyes from the outside. 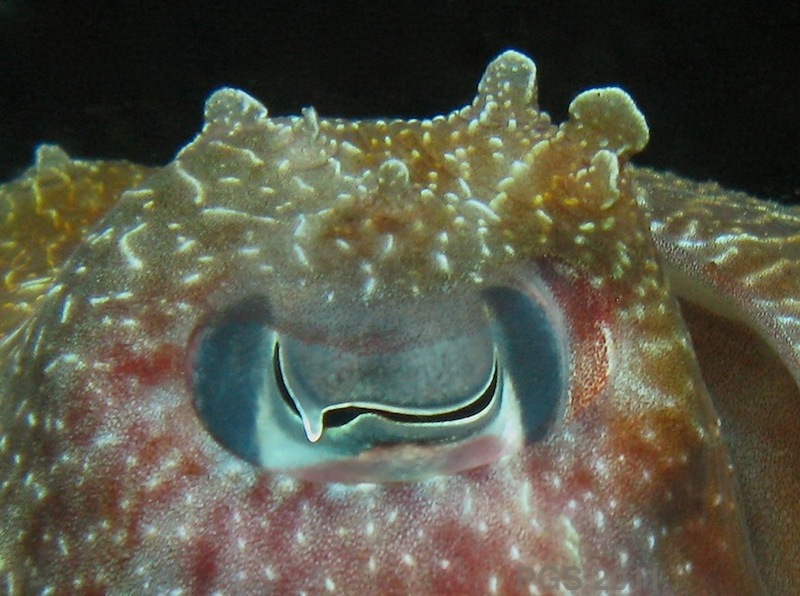 Posted in Cuttlefish, Evolution, Octopus and tagged cuttlefish, evolution, eye, octopus. permalink. Holy cow !! !– that octopi can independently control iris color makes me wonder how independent/coordinated other aspects of their vision can be. And therefore extreeeemely curious about how their visual system must be organized. Do they tend to scan the environment differently with each eye, or are their eye movements more coordinated like those of a human? Some species with very laterally placed eyes (one on each side of the head) like chameleons and sand lances have independently moving eyes which is 110% creepy to watch (e.g., https://www.youtube.com/watch?v=Pwymtmj3ouU). However — I also wonder how fixed/malleable octopi eye placement is. 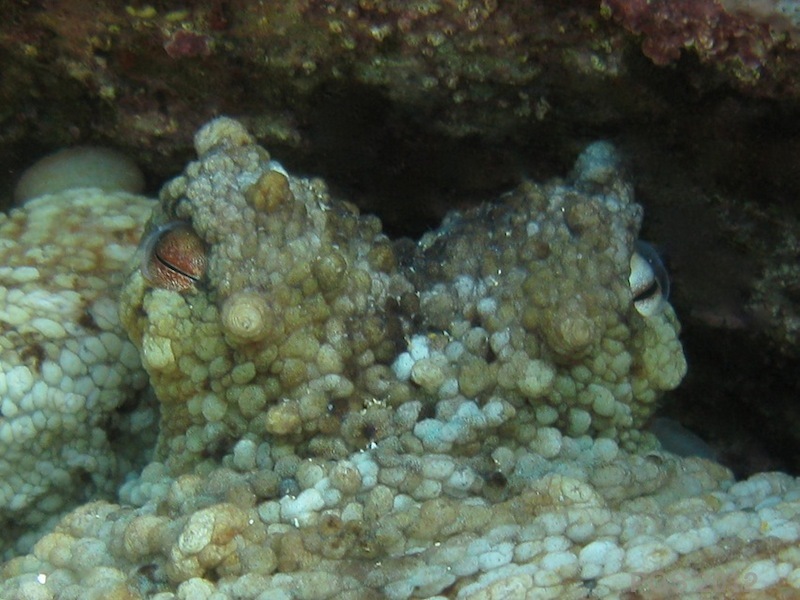 The pictures at the top show an octopus whose eyes are arranged such that it would probably have almost no overlap in field of view / binocularity. But you’ve also shown pictures where octopi have insane control over their body shape, skin texture, etc. Is it known whether any octopi can adjust the shape of their heads and therefore have more or less binocularity as the situation calls for it? On the last point, whether they can adjust their head shape to give them binocularity: I’d not thought about this before. The cases I’ve seen that come to mind are ones where an octopus has squashed its head very flat, and both eyes are pointed more upwards than usual. Then I think the fields of view would overlap quite a lot. I don’t think I’ve seen – and would love to see – a case where an octopus brought both eyes round towards the front, by changing its head shape, when looking at something novel or important. Some old notes I have say that octopuses do normally have a very small area of overlap between the two visual fields. I can’t remember where I saw this. That chameleon is creepy indeed. I don’t think I’ve seen an octo do this, in part because (at least in the species I’ve seen the most), the eyes don’t move much at all, without the head moving or changing shape. I have commented on one of my O. hummelincki (Caribbean species) flashing the iris from bright red to white several times in succession without moving or changing anything else. It was the first time I could see a reason for calling it the devil fish and I could imagine that even I would have been taken back seeing it underwater. I know you said, “Today though, no science or philosophy, no peering inside their heads” today but the eyes always intrigue me and I try to capture why in photos. I wonder if we are more anthropomorphic with critters that appear to have human eyes. Yes, I think we are. Apparently there is some psychological work on this. I noticed it referenced in the article discussed one post back that discussed when we tend to treat a system as conscious (the article by Fiala and co.). Apparently people very reliably use eyes as a cue to the presence of mental states.